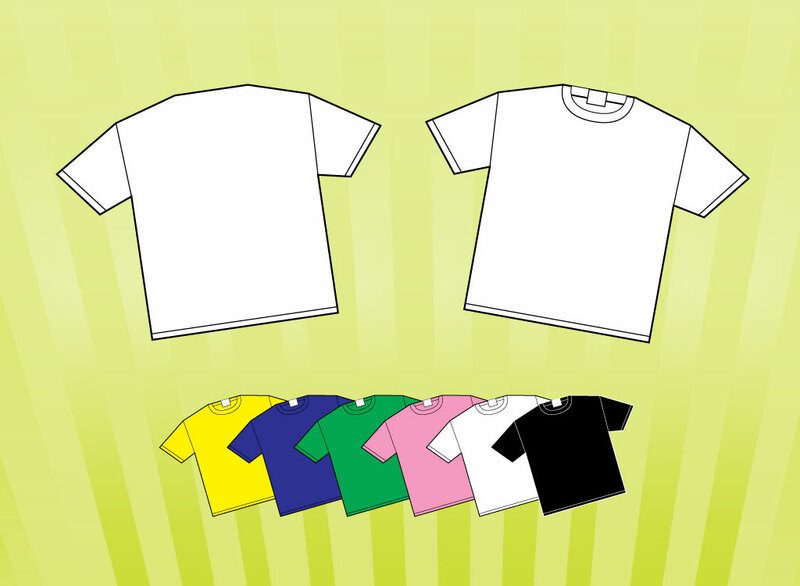 Vector t-shirt templates with separate front and back and six different color schemes to choose. Download this free graphic file for your screen-printed t-shirt mockups. Just copy and paste your design onto the front or back so you can preview the size and position for a better end result. T-shirt comes in front and back version and yellow, blue, green, white and black colors. Great design footage for your apparel, textiles, casual fashion, clothing, leisurewear, t-shirt model, presentation and creativity projects. Tags: Apparel, Back, Clothing, Fashion, Front, Mockup, Print, T-Shirt Template, Textile, Wear.